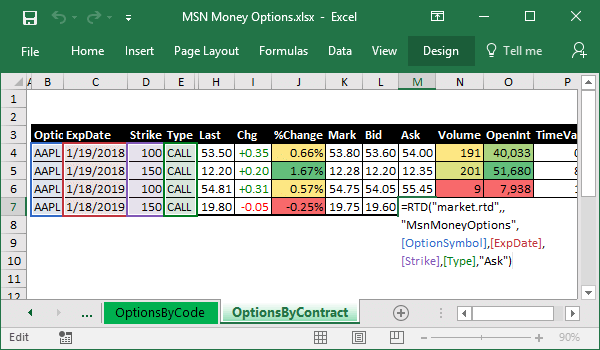 MSN Money publishes US stock option chains at their website and has no download links. 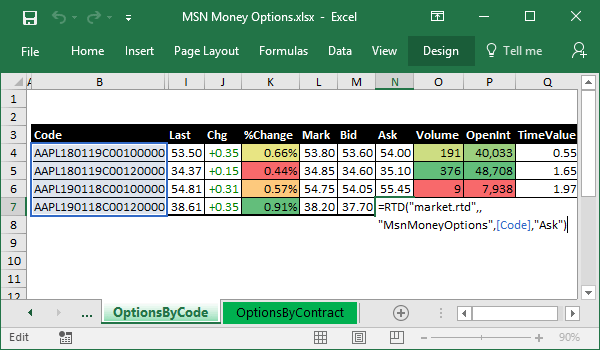 Our product, MARKET.RTD, loads option data using these URLs and allows consuming data in Microsoft Excel using RTD formulas. Moreover, you may get last underlying stock prices, find ATM strikes, and the next ITM or OTM strikes one by one. So, you may easily build complex refreshable models. You may find this example in the Examples folder of the downloaded package. 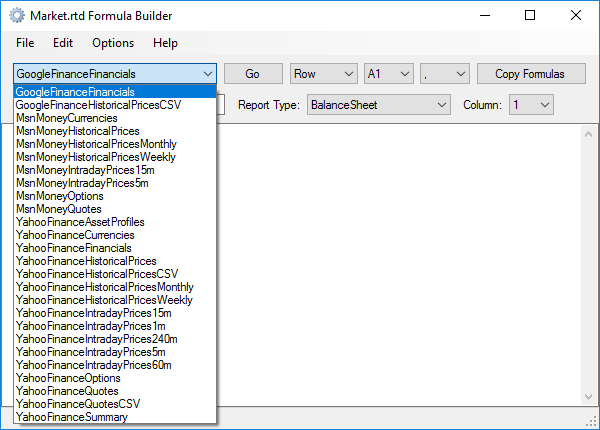 Also, you may use Formula Builder to get all available formulas for any data provider. 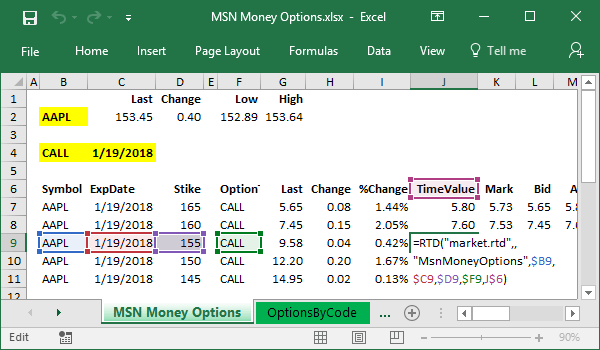 You may select how to organize formulas, by rows or by columns, and paste them into Microsoft Excel spreadsheets.